What factors go into how articles are ranked within a cluster? Dana shared the idea of building a “strategic keyword calendar” for your digital PR. When you discover trends, plan your PR programs surrounding them to attract consumer and reporter attention. 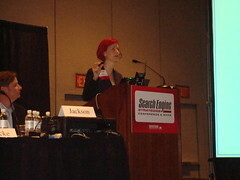 But be sure to look for trends that actually have search volume. Meet two audiences: consumer and news. Plan stories that incorporate keywords and launch in conjunction with “hot” times of year. Getting into Google news can get consistently drive large amounts of traffic to a news site able to deliver consistently hot content. What makes it difficult to get there? 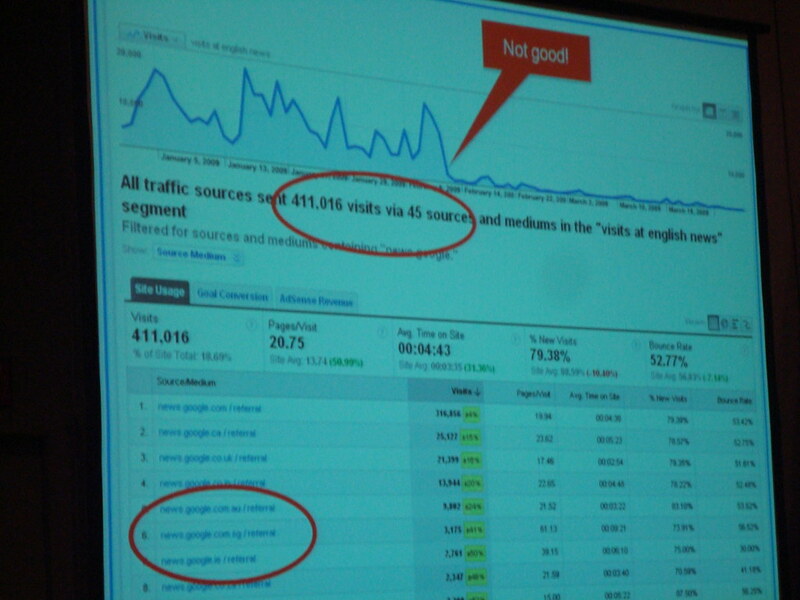 The above shows the traffic levels brought by approximately 120 Google News referrals and what happened when the site eventually was dropped from the news results. 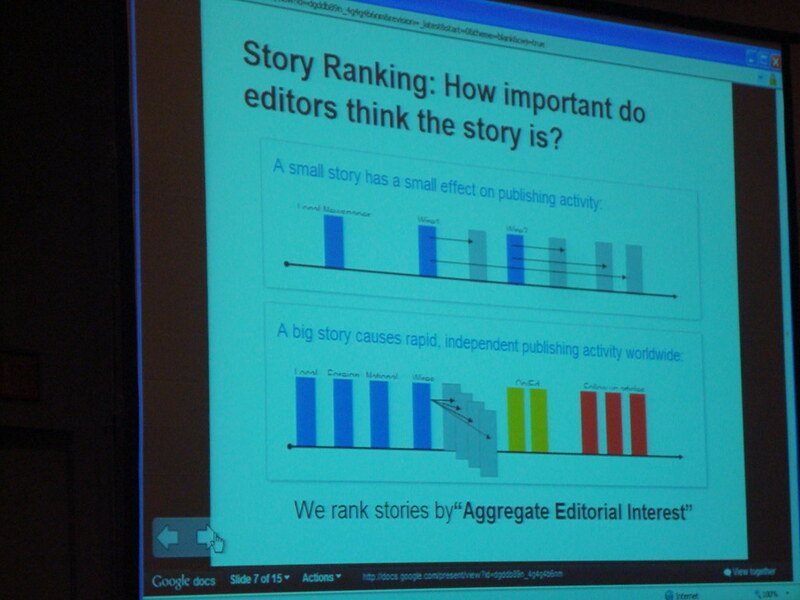 How to work with Google News? Lisa shared the power of Twitter for media relations. What are traditional media doing on Twitter? News search and social media marketing are closely linked – news content feeds social and social content is feeding the news. More traffic comes from blogs than press releases – so the content must be social. With that said, press releases can be starting points for that content that appears on blogs, so they still have a place. How to use press releases to inspire social content that also feeds the engines? Create an amazing story/promotion/contest aimed at engaging the social web. Act as the leader to help tell that story and encourage it to spread. Find trends with lots of search volume (use keyword research to plan your social campaigns based around news search volume). Use multiple press releases throughout the process to help tell your story: one announcing the story/contest/promotion, then one about the engagement in the social web (use this to put those social media users or bloggers who are participating in the spotlight). Then one about the final outcome. Use email and one-to-one connections to help spark the news. Above all else, bring people and media influencers into the process – make those people the story itself. Wow, that’s really detailed coverage Adam. Thanks for attending and doing such a great job of outlining the key learnings. 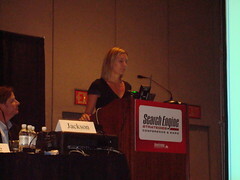 I hope you enjoyed the content at SES this year- I know I did! 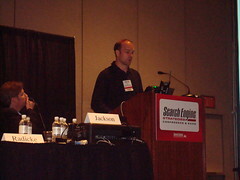 The News Search panel was certainly compelling and gave me a lot of new ideas and information. 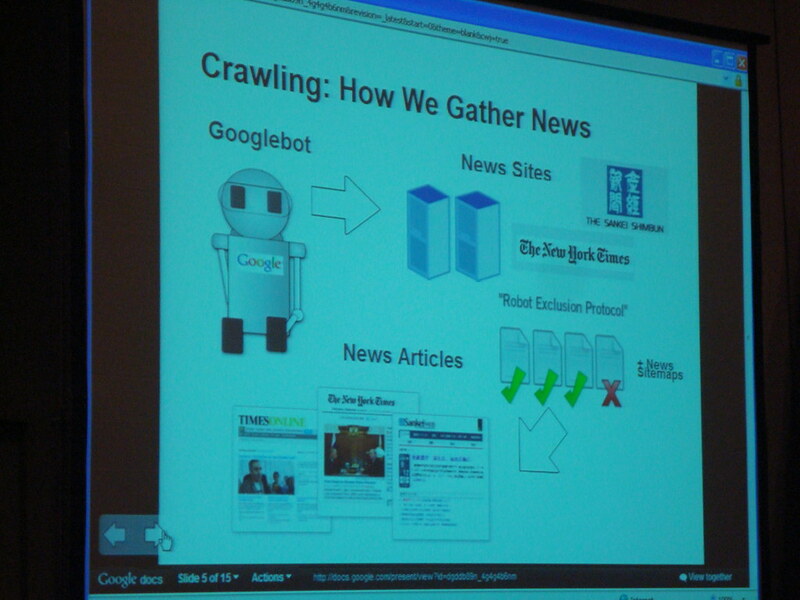 It was an excellent overview of how google searches for news. BTW the large images & preference of jpeg over png format sounds pretty interesting to me! 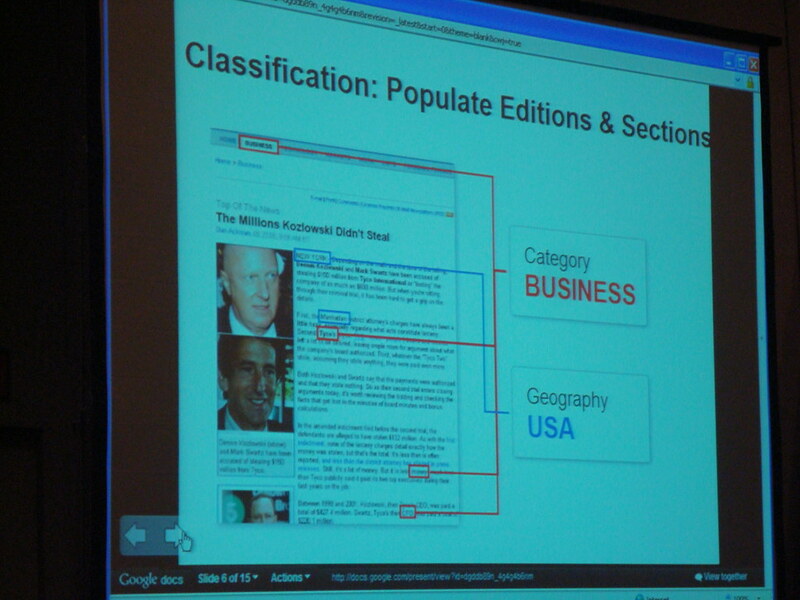 Thanks, Adam, for providing a play-by-play account of how Google really locates relevant information for news searches. As a news buff myself, I prefer getting the latest news bits on the Internet since it offers additional features that can’t be rivaled by television or radio. Where in the world can you get updates almost every minute, complete with sound bites, photos, videos and other add-ons but the Internet (bear in mind — Twitter)? Oh, and the bit about larger pictures and JPG over PNG sounds great, too! Thanks for the great information on Google News. The preference of jpeg over png images sounds interesting. Could this be down to png’s not being supported in all browsers?.